We've got a great selection of factory and our own sheetmetal panels so you can repair rust and collision damage properly. 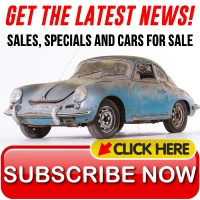 The newest 356 Porsche is nearly 50 years old now and we've got plenty of exterior body panels like doors, hoods and fenders to help you take care of years of abuse, rust and accident damage. Our sheetmetal panels come from Porsche Classic or from our own stampings. Our rust repair panels for the 356 have been used on restorations around the world. 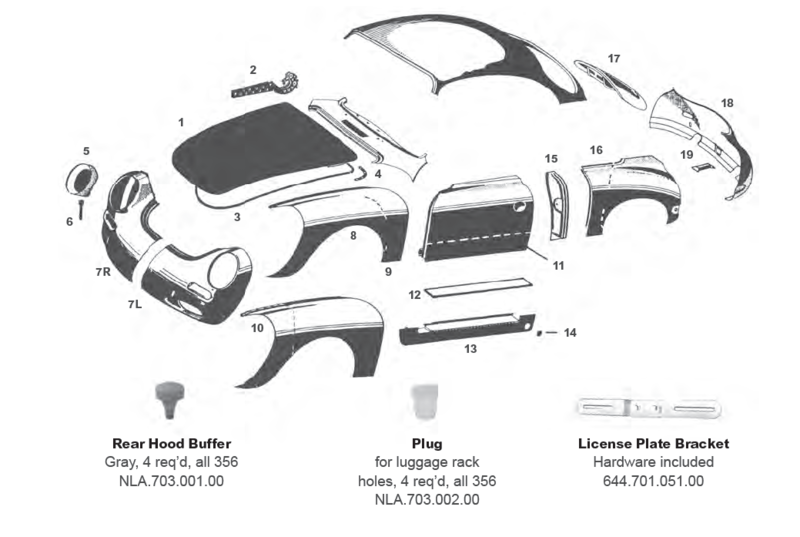 NLA-503-011-00 Horn Grille Repair Panel for 356A. 2 required per car. Diagram # 18 644-503-081-06-GRV Rear Body Tail Panel, Porsche Factory Part, Fits 356 BT6 and 356C Coupe. 1962 through 1965.